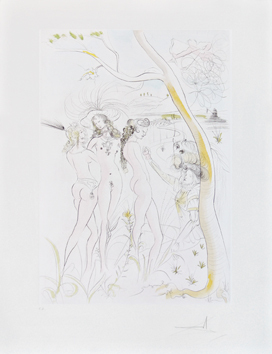 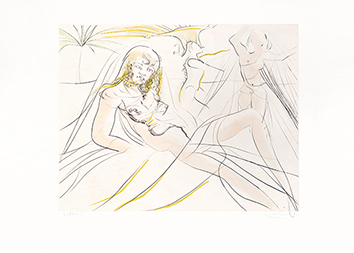 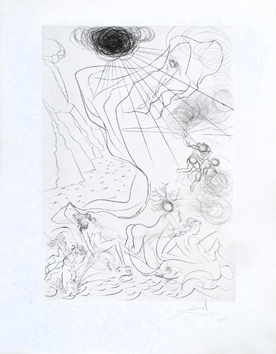 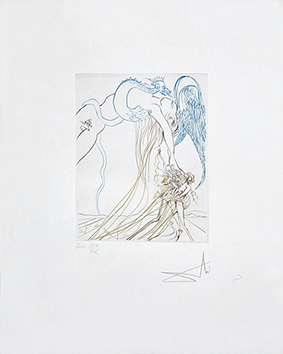 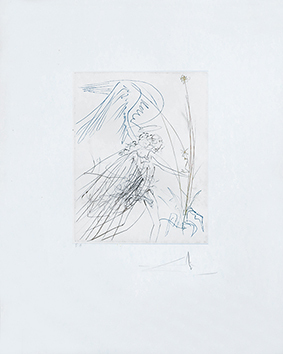 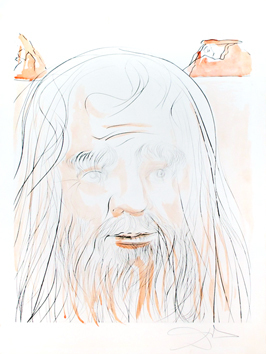 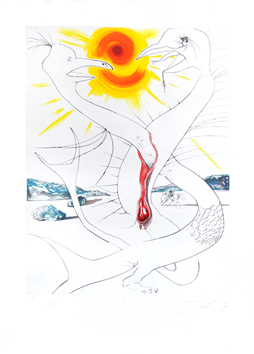 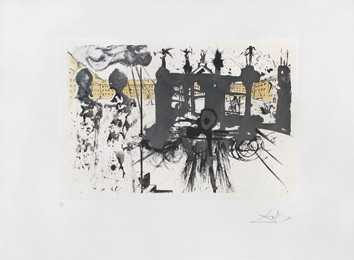 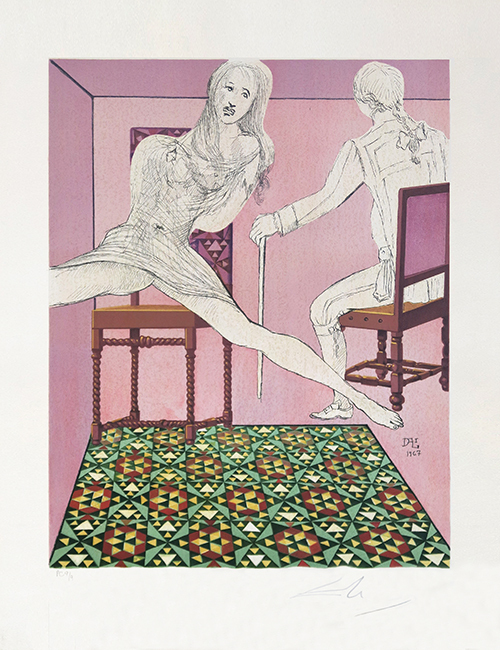 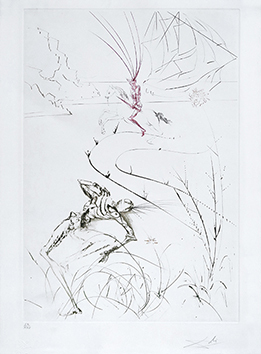 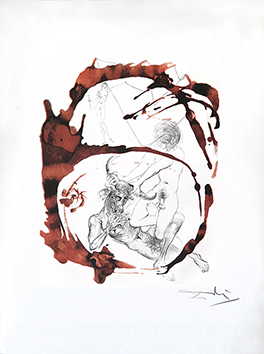 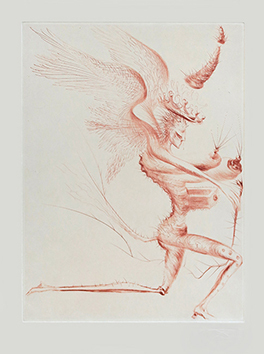 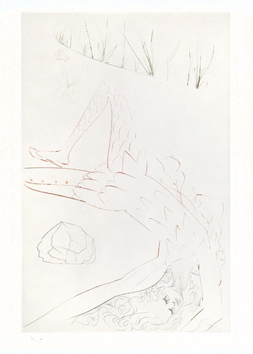 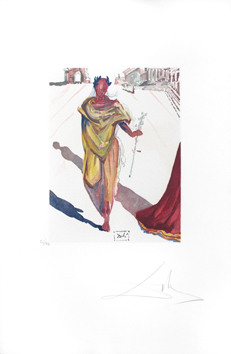 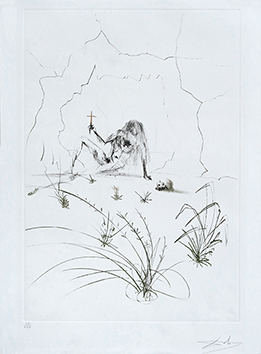 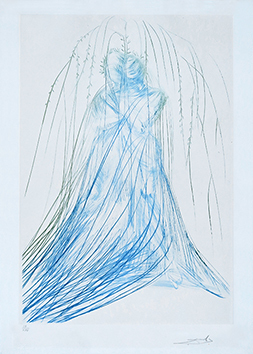 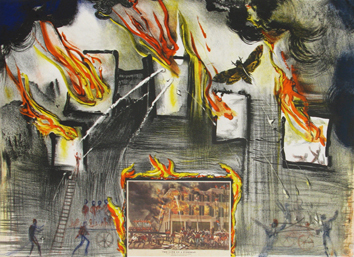 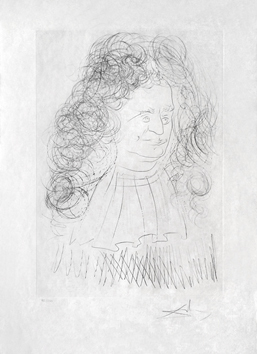 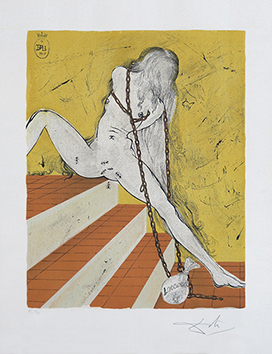 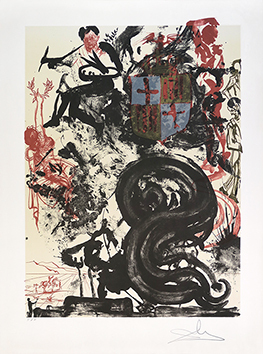 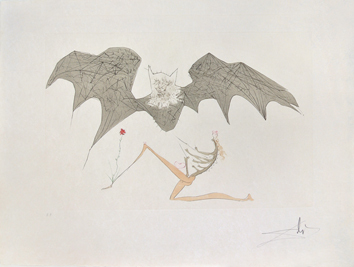 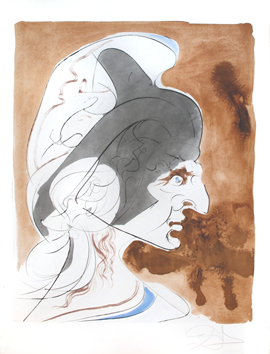 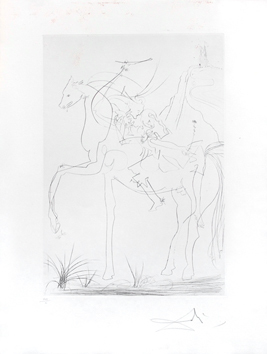 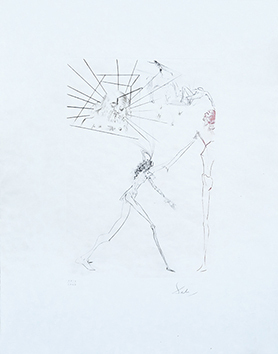 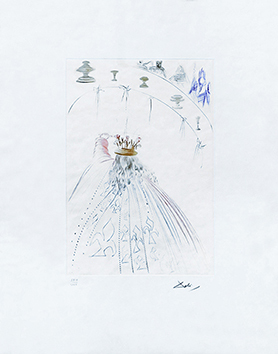 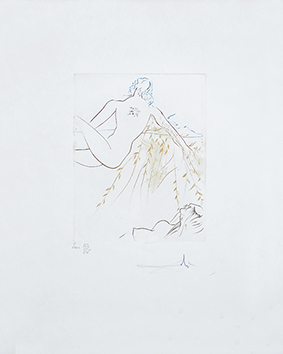 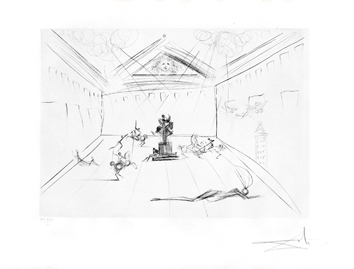 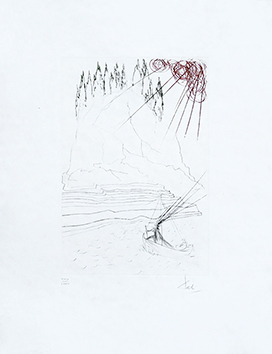 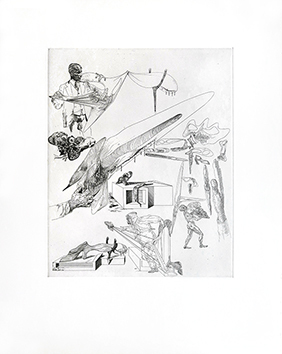 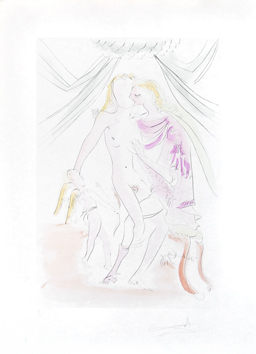 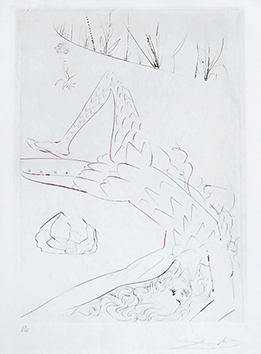 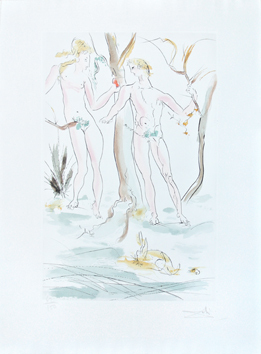 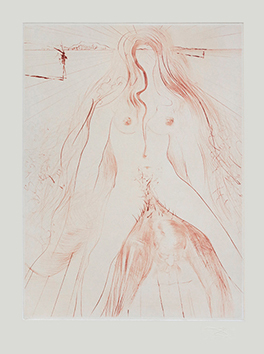 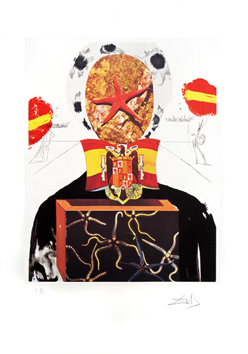 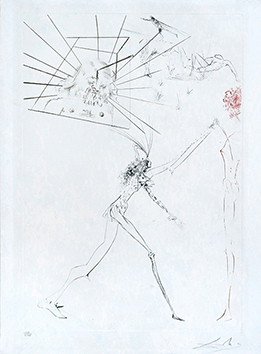 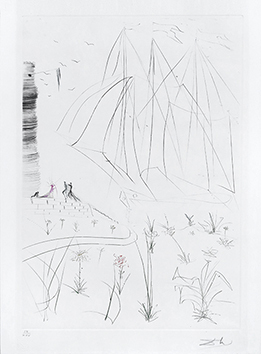 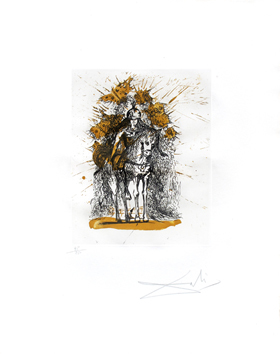 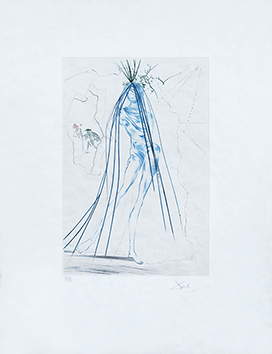 Lithograph in colours after a gouache by Salvador Dali, signed in pencil by the artist, from the portfolio "Three plays by the Marquis de Sade". 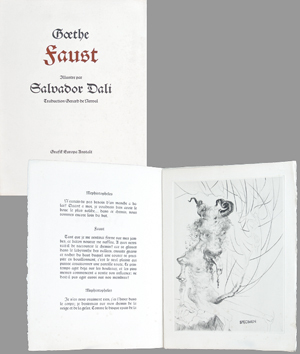 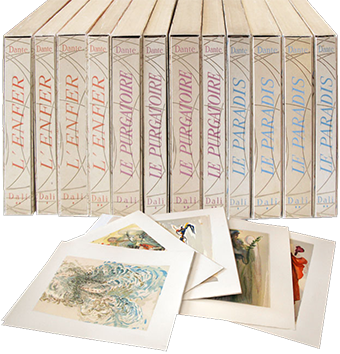 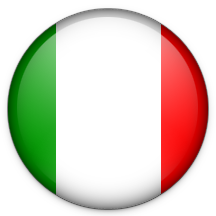 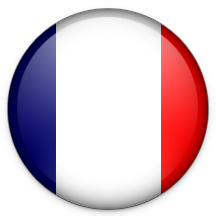 Shorewood Publisher, New York. 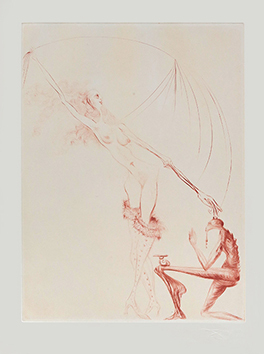 Condition : A light mat staining, otherwise good state.